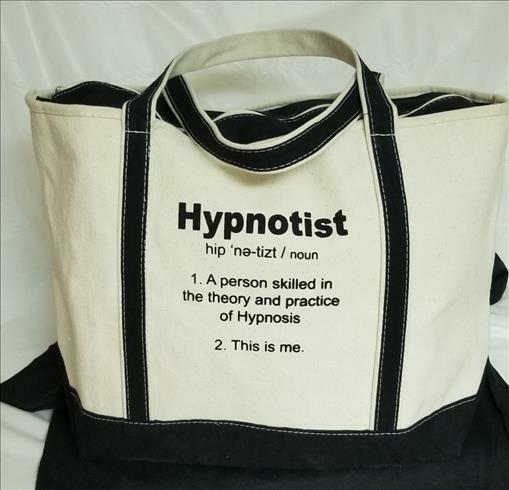 This is tote is a large tote with the description of a Hypnotist on one side of the bag. Advertise your business while carrying it with you daily. This will let people know that you’re a hypnotist and you might start conversations with them. This tote is in a natural canvas color with black handles. It is well constructed from 26oz canvas (size is 22.5″ L x 8″ W x 13.5″ H). 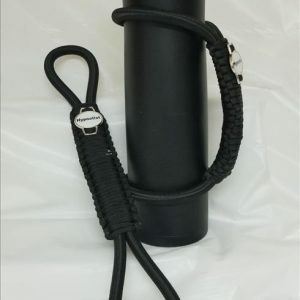 The handles are long enough to carry over the shoulder. The tote has a double inside hanging pocket with zippered closure which gives you a place to store your business information for a meeting. It is sturdy to carry your iPad and other tech devices. You will be aadvertising yourself while going about your business.